Home > Webinars > Become an AllSeated Pro in No Time! Become an AllSeated Pro in No Time! This webinar is for all of you event professionals out there! 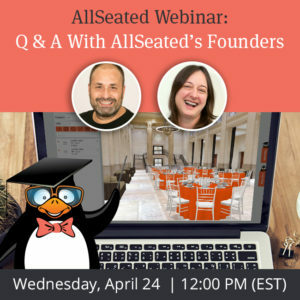 We’ll take an in-depth look at AllSeated’s tools and coach you on how to easily build a precise floorplan, space and align tables, adjust seating, work with custom objects, create floorplan templates, build out timelines, and how to collaborate with others. 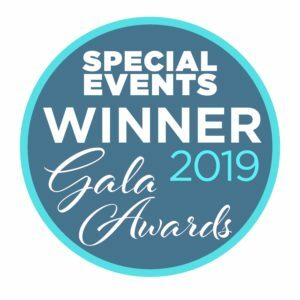 Quickly learn how using AllSeated will not only save you time but also provide your clients with the best event experience possible! Please register at least 24 hours in advance to receive the confirmation email containing instructions on how to join the webinar. 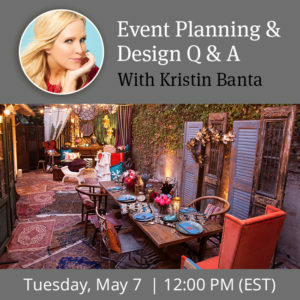 Event planning webinars are offered in English only and are free to attend.